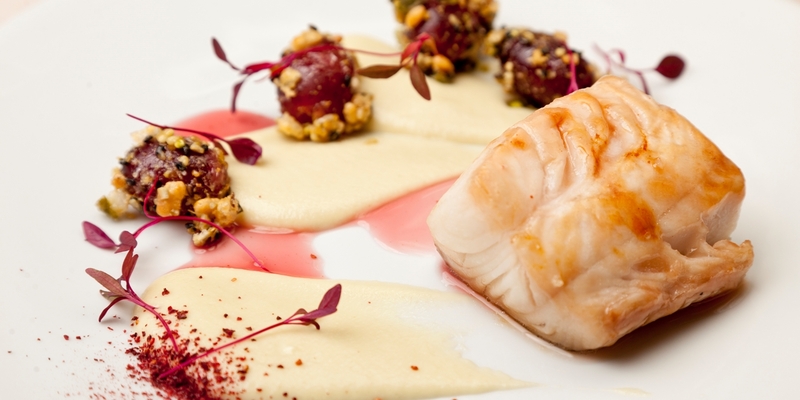 Sometimes known as sablefish, black cod – native to Canadian and Alaskan waters – is a true delicacy. Not actually of the cod species, the fish is famed for its snow white flesh, succulent flavour and rich, velvety texture, earning it the nickname ‘butterfish’. From baked fish to seafood pasta this collection of black cod recipes offers plenty of inspiration for cooking what is certain to become your new favourite fish. The texture and taste of black cod works well with strong, even potent flavours such as miso, onion and citrus. Dave Watts’ Miso-marinated black cod recipe is packed with with Japanese ingredients, while Pascal Aussignac's Baked black cod recipe is paired with the bold flavours of verjuice and elderflower. For a fantastic seafood pasta recipe try Luke Holder's Macadamia-crusted black cod, where plump cod fillet is served with orzo pasta and fresh salsa verde.